Women today are done playing games and ready to take charge of their dating lives. However, there’s a huge difference between being confident and going after what you want and being clingy. If you’re guilty of any of the following, we want you to back off a little; otherwise, you’re going to look like you’re desperate. Today, New Jersey Singles reviews the telltale signs you’re coming off as needy. If you’re guilty of these things, it’s time to take a step back and give him some breathing room. 1. You’re constantly blowing up his phone. If you’re always the one initiating the conversation—or worse, sending back-to-back messages—then it’s time to back away. No, seriously put the phone down. You don’t have to bombard him with messages to show your interest in him. Let him meet you halfway. And if he doesn’t reciprocate, move on to someone else. The last thing you want is to be clingy with your messages. 2. You always want to hang out. We get it, you’re super excited you found someone you’re into. But if you’re constantly wanting to hang out, you’re going to scare him away. You don’t want your eagerness and neediness to display like a flashing neon sign. If you’re always the one initiating the plans and accepting every invite thrown your way, he’s definitely going to pick up that you’re desperate and will most likely take advantage of you. 3. You can’t keep your hands to yourself. It’s cute in romantic movies when new couples can’t keep their hands off each other, but if you’re constantly touchy-feely with him every time you’re together, he’s going to think you’re desperate. Plus, there are many men out there who are not into PDAs, so not only are you coming off as clingy, but you’re making him feel uncomfortable too. Try giving him a little space and breathing room. 4. You pretend to like things you don’t. There’s so much pressure in the getting to know stage to find something in common. But acting like you like something you don’t is not the way to do it. The truth has a funny way of coming out. Being your authentic self during the early stages is the best approach. And don’t worry if you disagree on a few things. That’s normal in any relationship. 6. You’re talking about the future already. Are you one of those women who talks about the future on date number three? Are you already talking about marriage, babies, and your retirement in Boca after only knowing him for two weeks? Oh, boy! You’re definitely coming off as desperate. The honeymoon destination, matching tattoos, and baby names can be discussed a few years down the road. But keep those future topics off the table for now. 7. You’re his social media groupie. Stalker alert! Liking every single picture he puts on social media and commenting on every status doesn’t show your interest. It shows him that you’re needy and desperate. Going back and liking pictures from months ago will make you look like a stage five clinger. It’s okay to like certain things every now and then, but try limiting your social media love to a few relevant posts. 8. You already introduced him to your friends and family. Maybe you’re excited to finally bring home a guy who is worthy of introducing to your parents. But inviting him to a family get together if you’ve only known him for a few weeks will ring alarm bells in his head. Unless the two of you have the same group of friends, you shouldn’t introduce him to your friends and family just yet. Otherwise, you run the risk of coming off as desperate. We understand that you’re so happy you finally found someone who you think could be the one. But if you want to ensure that he stays the one, you need to back off and stop being clingy and needy. If you’re guilty of one or more of these behaviors, then you’re definitely coming off as desperate. If you’re not having any luck in your dating life, it’s time to outsource the hard part of dating to our expert matchmakers here at New Jersey Singles Dating Service. Let us give you the guidance and support you need to date with success. We’ll provide you one-on-one dating coaching and handpicked dates with relationship-minded men who are a perfect fit for you. Call 1 (888) 417-0020 to book your 100% FREE, in-depth matchmaking consultation today. The year went pretty fast, right? Here at New Jersey Singles, it sure felt like it did. Now that the new year is finally here, many singles in New Jersey are making resolutions in many aspects of life. Some want to lose weight, many want to let go of bad eating habits, while others want to find love. The year in passing was witness to several breakups, weddings, divorces, and heartaches. If you’re single, or committed, our advice is for you to make 2018 the year you set and follow some relationship goals. These goals can help you get in the right mindset to tackle whatever comes your way in love. These goals will help you become the best person you can be. If you’re already coupled up, these goals can bring light to what’s wrong in your relationship and show you how things can be improved to let the love shine strong. So what do you say? Are you ready to learn some of our favorite romantic resolutions? Today, New Jersey Singles reviews relationship goals for 2018. 1. Never fall under pressure. The world around us might be filled with happy couples, but that doesn’t mean you need to be in a relationship to be happy. If you’re single by choice, continue being single for as long as you want. Ignore whatever your friends, family members, and coworkers are telling you about the love clock ticking. You can’t fall in love or get married simply because your clock is ticking. When you find a better reason, that’s when you’ll find love. Finding Mr. or Mrs. Right can only happen if you’re sure of it yourself, so ignore anyone who is pressuring you to find someone and settle down. 2. Don’t give them too many chances. If you find yourself in a relationship where your partner has done things to hurt you or let you down, it’s important to stop giving them chances. It’s time you muster up your courage and tell them goodbye for good. Someone who cheats after being forgiven or continues to give into an addiction deserves no place in your life. You don’t have to feel guilty about leaving them behind if they’re hurting you or putting a damper on your life. 3. Keep long-term thoughts away. Do not spoil your new relationship by thinking about the future. If you’re on a first date, just keep it at that. Stop imagining what your life will be with this person and whether he or she will be the one you marry. If you have fun on your first date, let them know. Don’t worry about anything else but what’s happening now. Take things as they come and relax. You have to enjoy the moment without spoiling it with thoughts of the future. 4. Set criteria but never go overboard with it. Everyone dreams of having that perfect relationship. But rarely does it happen. You need to be realistic in your demands and wishes. If you’re expecting perfection, we’re here to tell you that you’re going to be waiting forever. You simply cannot expect people to be perfect because no one in the world is flawless. Your partner might not like the outdoors while you enjoy getting out every chance you get. They might not like dogs while you’re a pooch fanatic. Or they might not like to work out while you do it as often as you can. Be open to different things, and never knock their hobbies and interests either. 5. Be honest in whatever you do. Honesty is the best policy, and you should be honest in everything you do. When it comes to relationships, you should never break the trust. We want you to remember that there’s no such thing as a harmless lie, so don’t ever get into the habit of telling them. Be honest from the start and your relationship will be happy and healthy for a long time to come. In 2018, one of the most important relationship goals you should have is simply to start taking initiative. If you see someone attractive at the gym, grocery store, or coffee shop, go right up and talk to them. Maybe they’re not into you, but at least you made a move. It doesn’t matter if they reciprocate your interest or not, because you at least gave it a try. If you want to lead a happier life, find love, or better your relationship, follow these six relationship goals from our New Jersey matchmakers and watch your love life flourish in no time. If you’re single and ready to get coupled up in the new year, contact our New Jersey matchmakers today and let us help you accomplish your dating goals. Call 1 (888) 417-0020 to book your 100% FREE, in-depth matchmaking consultation today. We’re ready and eager to help you find the love you deserve. Some guys will meet you and act like they want to be with you and only you when they’re already taken. How convenient, right? They want two women or more at the same time. So how can you spot a guy like this? When he’s acting like Romeo and doing nice things for you, how can you figure out where he really stands? Today, New Jersey Singles reviews the telltale signs the new guy in your life isn’t really single. Whether you suggest meeting up on a Friday afternoon or Sunday morning instead of your usual Thursday night dinner, he’s never available. What could be going on here? He might claim he’s not spontaneous or that he’s busy. If you’re in the same city, but he’s not available on certain days or at certain times, take it as a sign there’s someone else in his life. 2. He goes on and on about his breakup. During a conversation you had with him about his breakup, the guy looks close to crying his eyes out. He also goes on and on about his ex. If things are that fresh for him, then it’s probably because she’s still in the picture. In fact, the breakup might have happened just a few days ago. 3. You only see the back of his phone. Whenever the two of you are spending time at your place or his, the phone screen is never facing up. Hmmm. Why is the phone screen always facing down? Why doesn’t he answer the messages that are coming in? It’s fine to be private, but he’s being fishy. 4. He goes with the flow. He claims to be the type of guy who wants to feel things out and see where things go. But if it’s been weeks and months since you started seeing him and you haven’t talked about your relationship and where it stands, then that’s a telltale sign he might have a girlfriend and is stalling with you. It happens all the time. You call his phone and he never answers. You put your FBI hat on and check when this tends to happen, and it’s usually on the weekends. Who could he be spending time with? We think you know the answer here. 6. He loves going out of town. He loves spending time with you and taking you out to dinner, but it’s never in the city you live. Come to think of it, you’ve never been out in the city together at all. You think it’s awesome that he takes you out of town, but he’s actually taking you away so he doesn’t run into his girlfriend or her friends. 7. He won’t meet your best friend. If it’s been months of dating and he still hasn’t met your best friend who happens to be in town, nor your closest friends and family, then something is up. If he doesn’t want to meet the people close to you, it’s probably because he’s afraid they’ll know he has a girlfriend. 8. He doesn’t have a relationship status on Facebook. You might check his Facebook profile and be happy that he’s listed as single. But if there’s no relationship status listed and the two of you have clearly been dating, that’s a huge relationship red flag. Why doesn’t he want to change his status? 9. His profile is private. He added you as a friend on Facebook, but when you go to look at his profile, well, you can’t see anything. You can’t see his friends, his comments, or his pictures. What is this guy hiding? 10. He loves your place. He loves to hang out with you all the time, especially at night—but never at his place. Come to think of it, every time you’ve gotten together with him, it was at your place. How convenient, right? That’s probably because he has a girlfriend at home. Ladies, are you tired of dating guys who are already taken and wasting your time? We know how frustrating this can be. It is a waste of your time and energy to fall for a guy who is already in a relationship, but it happens all the time. We hear the stories every day. If you’re tired of dating cheaters, jerks, and players, then it’s time you invest in a professional matchmaker here at New Jersey Singles. Call 1 (888) 417-0020 to schedule your FREE matchmaking consultation with our passionate matchmakers today. Let us introduce you to quality single men in New Jersey who are ready and eager to find a meaningful relationship. Having a boyfriend is great and all, but that doesn’t mean that dealing with his family will be easy—especially during the holidays. In an ideal world, going home for the holidays, whether it’s your home or his, would be stress-free. But everyone knows that the holiday brings out opinionated family members and a lot of chaos and awkwardness. 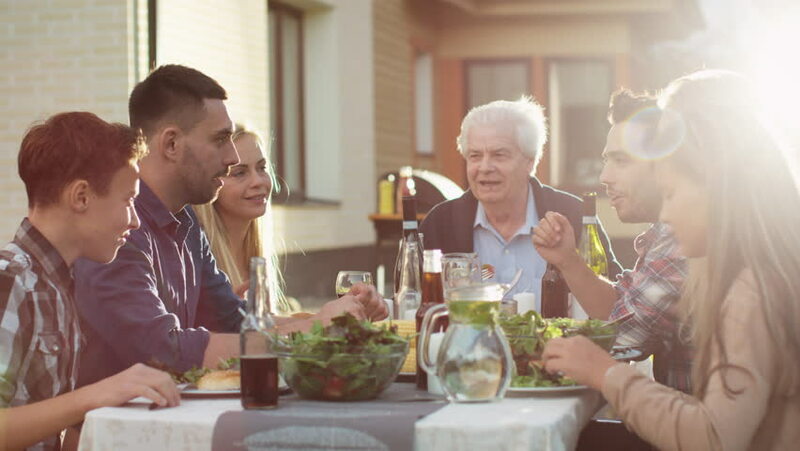 If you’re going to spend Christmas with your partner’s family, then this article is for you. Today, New Jersey Singles reviews how to spend the holidays with your new boyfriend. This one’s easier said than done, but it’s important nonetheless. Even when his mom casually mentions that his ex was an expert gardener, don’t take it personally. Just let it roll off your shoulders and keep a smile on your face. You always want to come off as the real you, which is the reason you need to be you but on your best behavior. When you’re getting to know his family, make sure you’re polite by saying your pleases and thank yous and by always being polite and offering to help with anything you can. Is there a particular troublesome uncle or a topic of conversation you should steer clear of? You need to know all this information ahead of time, so he should be glad to help you out. After all, it’s in his best interest that his family likes you. The holiday season includes plenty of drinking, but keep your company in mind as you’re having a few of those oh-so-easy to go down holiday cocktails. You don’t want to embarrass yourself and your new boyfriend, so take it easy on the booze. Excessive PDAs in front of his parents or young siblings will not going over well with anyone, and it’s a little bit disrespectful. A squeeze of his hand or a quick peck on the cheek is okay, but leave it at that. Even if the gift falls flat, it’s still very thoughtful of you to bring a gift. And it’s better than showing up emptyhanded. If you already know that mom drinks wine, then get her a nice bottle of red. If not, remember that you can always get her cookies, flowers, or chocolates. Remember everyone’s names and use them. Using people’s names is a great way to connect with them. Even if you don’t know them yet, this simple gesture shows great effort on your part. This is a very important time—a time to get to know everyone. These are the people who could potentially be your family one day, so try getting to know them independently. Don’t hide behind your boyfriend the whole time and rather make your way around getting to chitchat with everyone. Checking out Instagram or Facebook during family time isn’t a great way to clear your mind. But it will make you look distant. Going out for a walk with your new boyfriend around the neighborhood is an acceptable way to clear your head and get some fresh air. Most families will have some type of conflict arise at a holiday get together where the eggnog is flowing. But if conflict pops up, don’t get involved. Don’t throw in your two pennies or get involved in the conversation because you don’t belong in it. Ultimately, you need to relax and remember that your new boyfriend wouldn’t take you home if he didn’t think you were great. Be calm, sociable, polite, and have a good time. Merry Christmas from our New Jersey Singles matchmakers! If you’re single and searching for that special someone, Call 1 (888) 417-0020 to book your 100% FREE, in-depth matchmaking consultation today. Let our passionate matchmakers introduce you to quality singles who are relationship-minded and compatible with you. Relationships are full of ups and downs, and they certainly aren’t always perfect. But that doesn’t mean that couples can’t be perfectly happy. Sometimes the easiest way to find real happiness in a relationship is by throwing away all of society’s expectations about relationships and following your own rules. If you can’t follow your own guidelines and overlook the downtimes in your relationship, then you’ll always focus on the imperfections and miss out on all the happy moments. We’re all human, and we all have flaws. But we need to get past them in order to have a happy relationship. If you really want to have a happy relationship or a perfect marriage, focus on these five secret ingredients to a happy and healthy relationship. Today, New Jersey Singles reviews the top five secrets to maintaining a happy and lasting relationship. If you want to have a happy relationship, then you need to have trust in each other. We’re not just talking about the trust that comes from being faithful to each other. We’re talking about the trust you both have in each other to follow through with your word and handle responsibilities. If you have trust, then you have mutual respect, and that is key to the success of a relationship. Every relationship should be composed of two people who respect each other. You should be on equal ground, and neither of you should think you’re better than the other. It doesn’t matter if you make more than your partner, or one of you is smarter than the other, you should respect each other equally. Chemistry is a great part of what makes a relationship last. Without it, you’ll just be two people who spend a lot of time together. Chemistry means different things to different people, but it can often be described as a great connection between two people. If you feel at home when you’re together, then you have chemistry. You need to support your partner and vice versa. You need to feel like you can count on them for anything and know they wouldn’t walk away from you for anything. Having a supportive partner by your side builds you up, makes you feel stronger, and allows you to accomplish anything you want. If you want to have a long and happy relationship, then you need to share common interests with your partner. It doesn’t matter if it’s TV shows, working out, or golfing, you both need to share some kind of activity together. This will make the relationship more fun and exciting and help you bond with each other. Relationships can’t always be full of rainbows and unicorns, and sometimes it’s inevitable that a little bit of unhappiness creeps in (even in the happiest relationships out there). But as long as you’re invested in your relationship and use these five secret ingredients, you’ll have a happy and healthy relationship that lasts. If you’re single and want to meet relationship-minded singles in New Jersey and experience what it feels like to be in a happy relationship with a compatible partner, contact our New Jersey Singles matchmakers today and let us help you find the one. 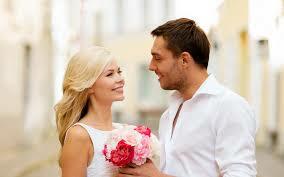 Call 1 (888) 417-0020 to book your FREE matchmaking consultation today!